When Namco Bandai America isn't throwing fans over 70 images of Ace Combat: Assault Horizon in a single day, they're giving them a 10 minute video "fly-through" of a campaign level, releasing a single-player demo and throwing in some more images -- which has happened today. 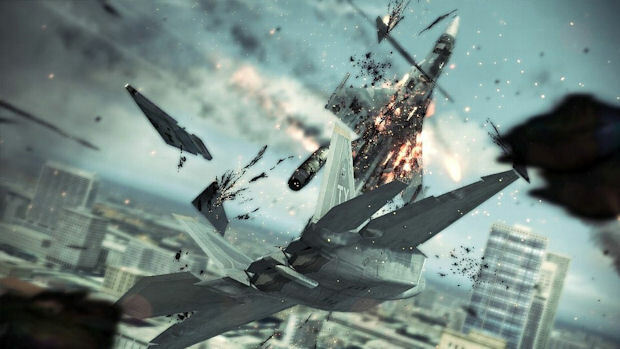 The demo, which is available now on both Xbox 360 and PS3 sees players taking part in two missions: one that has them controlling a fighter jet and participating in dog figts, and another where they'll control a helicopter with the mission being one of a rescue. The 10 and a half minute helicopter fly-through video shows off the third mission of Assault Horizon, and those screenshots are from the demo; so you can look at it before you download it... or something.